The Eight Bells Country Pub and Kitchen is fantastic pub sitting on the beautiful Moor in Hawkhurst, Kent. Situated on the A229 just off the A21, it’s in easy reach of Bodiam Castle and borders Kent and East Sussex. 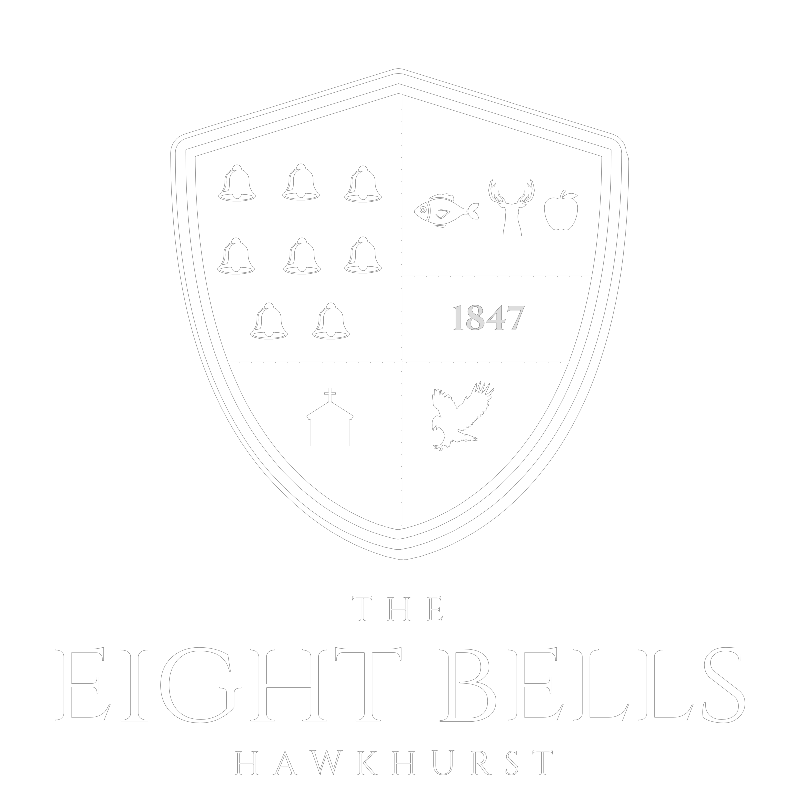 Very much a traditional English pub, the Eight Bells provides a wide selection of local and national real ales, delicious wines and great lagers. As well as seasonal, fresh, ‘rustic country’ food for lunch, and dinner. Recently taken over by James and Annie Rogers the atmosphere in this 18th century Pub is warm and inviting. During better weather there is a beautiful beer garden. Parking is convenient in the Pub’s own car park. A warm welcome is guaranteed by our friendly staff. You can book a table in advance by calling on 01580 389039 or online using the form below.